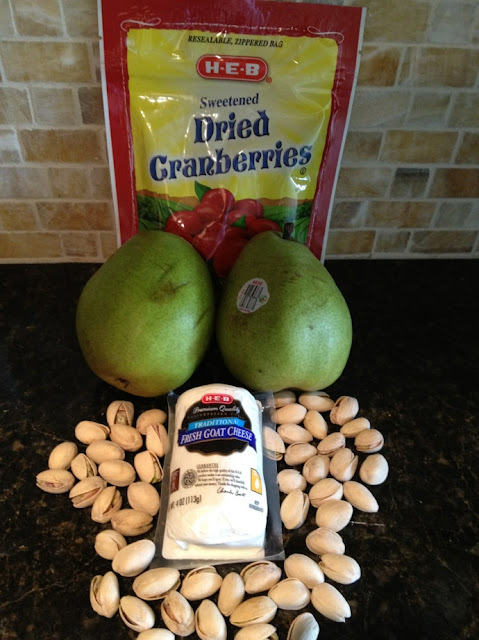 I love a good appetizer especially when you can throw it together in minutes! 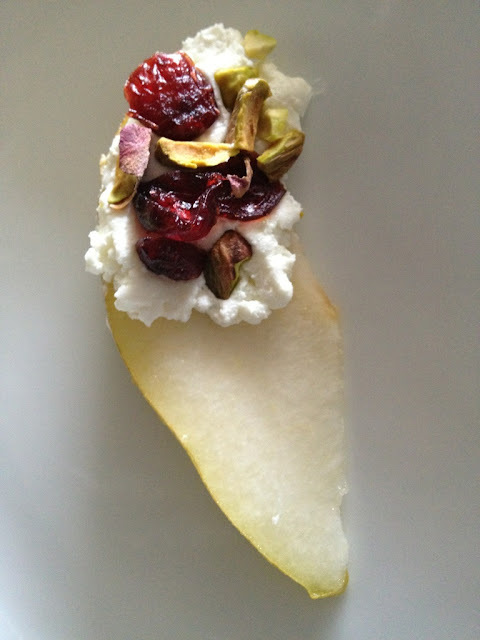 This is easy and quite delicious. It would be hard to fill up on these which is why I like them so much. I feel like I always stuff myself with appetizers and then I am not hungry for dinner. 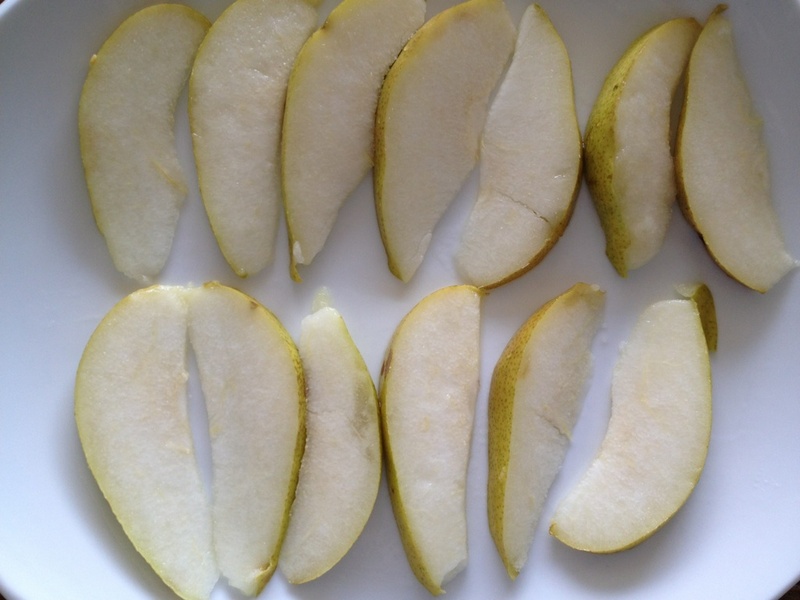 Core pears and cut into slices. 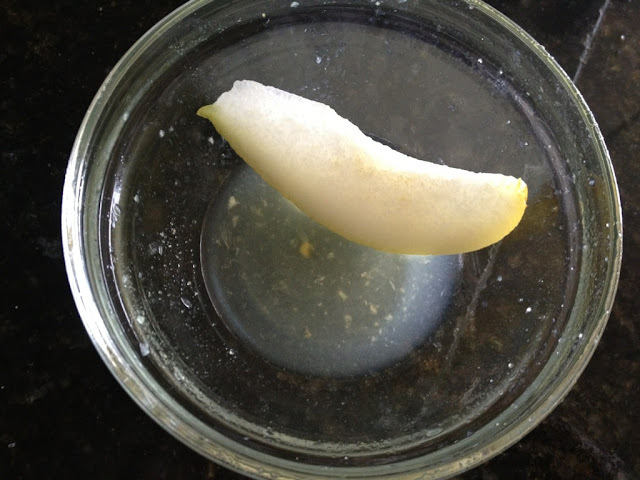 Toss in lemon juice to keep from browning. 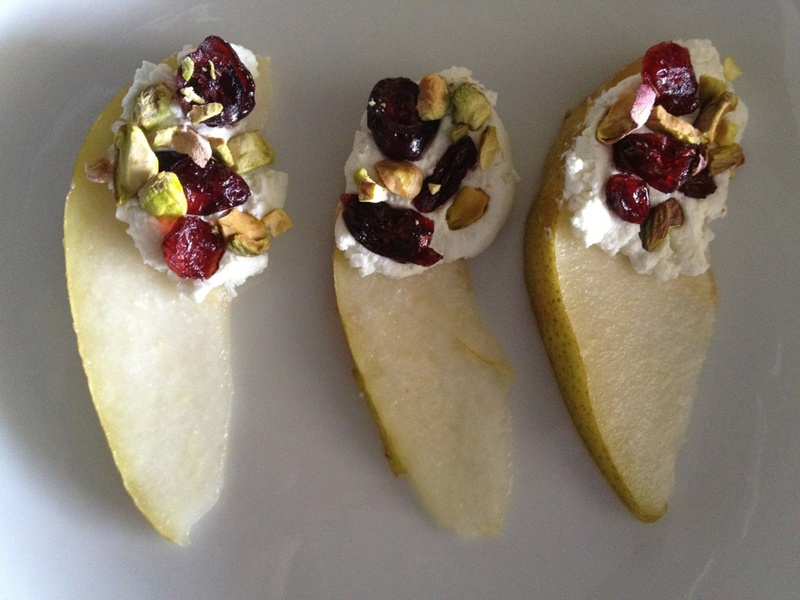 Spread cheese on the widest part of the pear slice and then shower the cheese with dried cranberries and pistachio pieces. Arrange on a platter and serve.